Sorry for the little delay in the ole blog post. I’m on the East Coast for the week noshing on chowda and visiting the family! Bubbe and I had a date yesterday and did what we do best- shopped at Marshall’s and visited the liquor store and then I made an AWESOME quinoa salad you can read about on The Facebook. Can you say perfect day?? Apparently I brought the warm weather from Texas with me- it’s freaking hot right now! And of course we can’t turn the AC on since it’s only May. Oy! During the weekend, I was in Boston to surprise a friend for his big 3-0. Boy oh boy was he surprised! 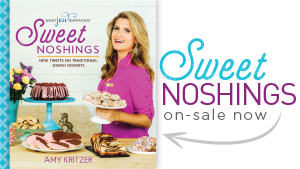 We have been keeping this secret for MONTHS, and I’m kind of shocked we pulled it all off. Plus, I’m a terrible liar. No one’s perfect I guess. 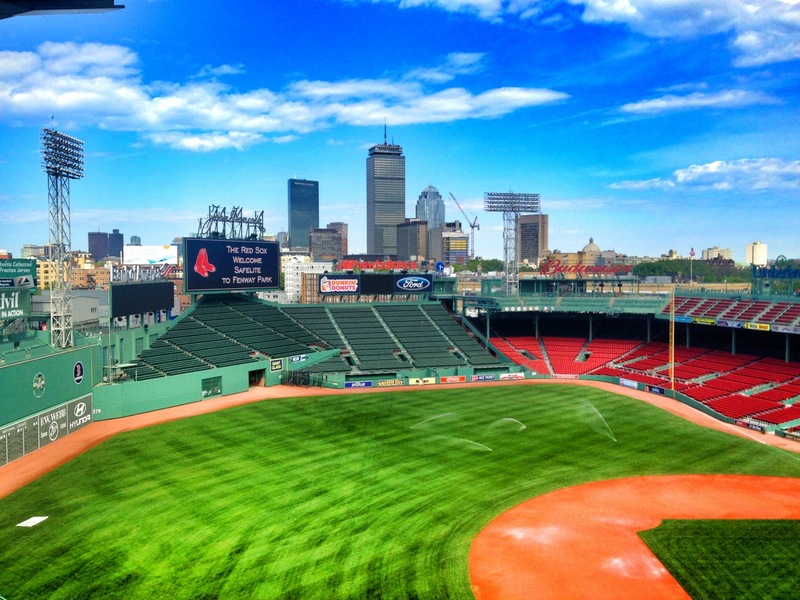 While in Beantown, we got a little tour of Fenway. We also got to partake in batting practice where the players practice! 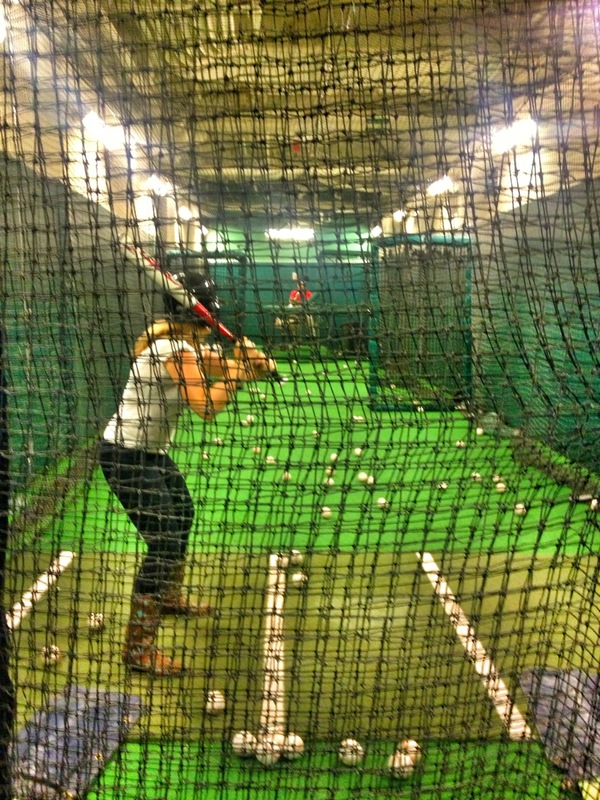 I even hit a few balls- who knew I was athletic?? That was rhetorical, I don’t think flip cup and super social kickball count as sports unfortunately. 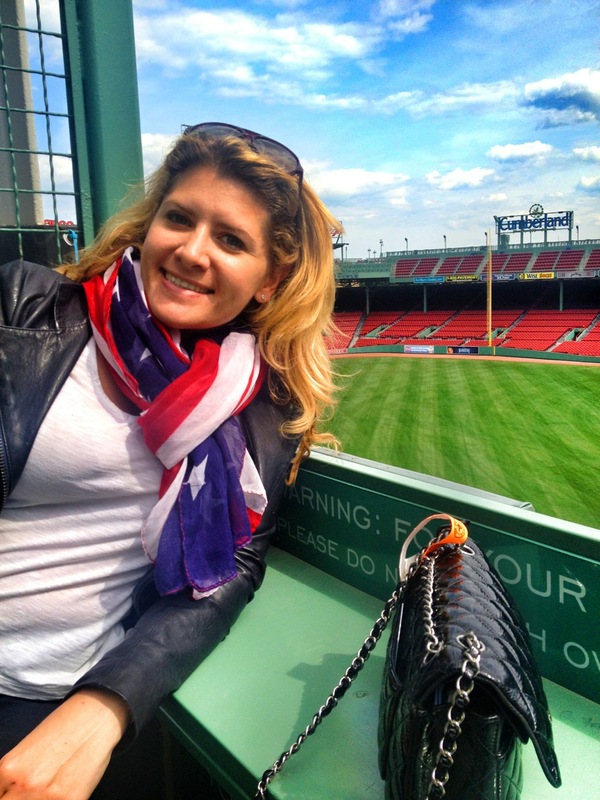 Here I am snuggling up to the Green Monster. Mmm cozy. 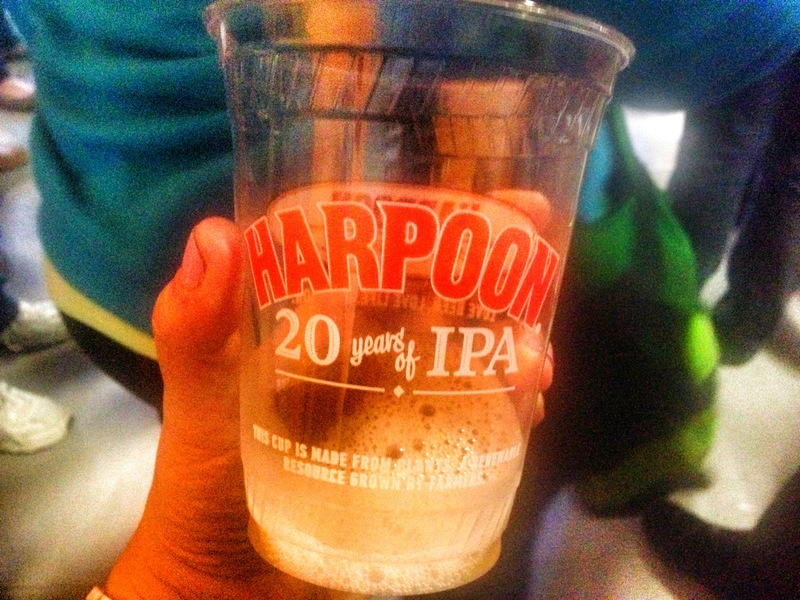 Don’t worry, we found time to play too with a tour of Harpoon Brewery. Love their IPAs! And of course some berries. 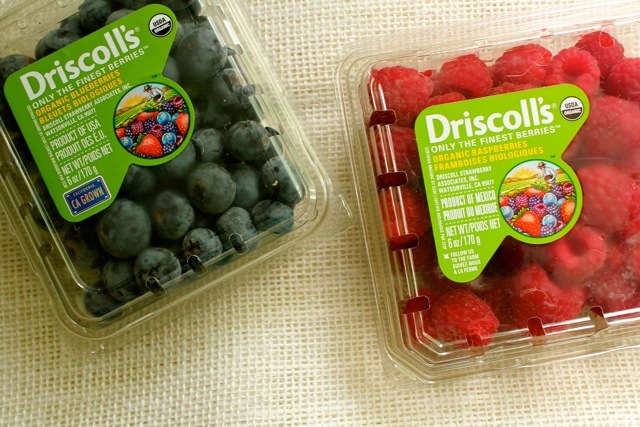 I used these organic Driscoll’s blueberries and raspberries- they are just the freshest and most flavorful ones out there! 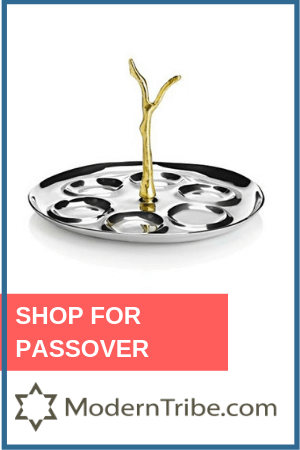 First, make your blintz batter. 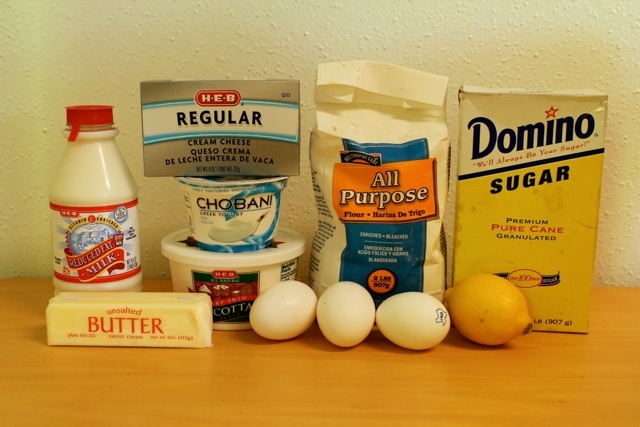 Combine the flour, sugar and salt. Then add the eggs, milk and butter and whisk until no lumps remain. 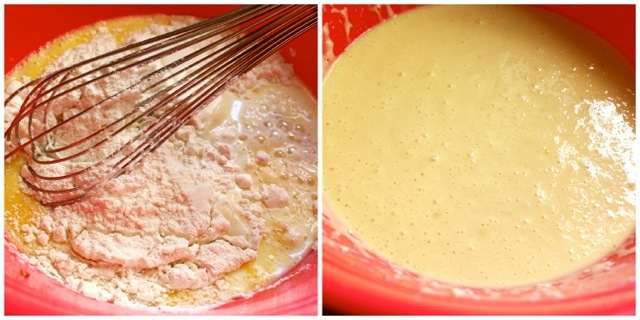 Let your batter rest in the refrigerator at least 1 hour to let the gluten relax. While your batter is chilling, you can make the filling by whisking together the cream cheese, ricotta, Greek yogurt (I use Chobani! 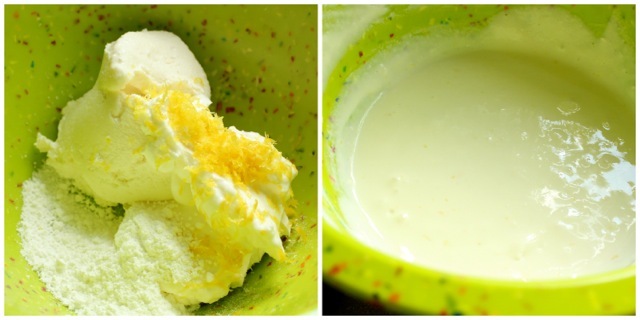 ), powdered sugar and lemon zest. 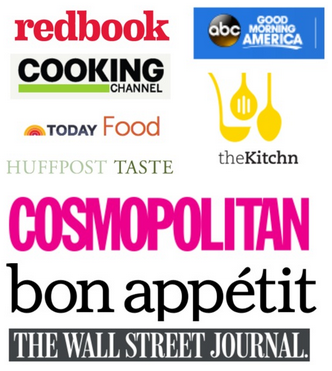 Set that aside and make the berry compote. Combine the butter, blueberries, raspberries, sugar, cornstarch, and lemon juice in a small pan or pot over medium-high heat. 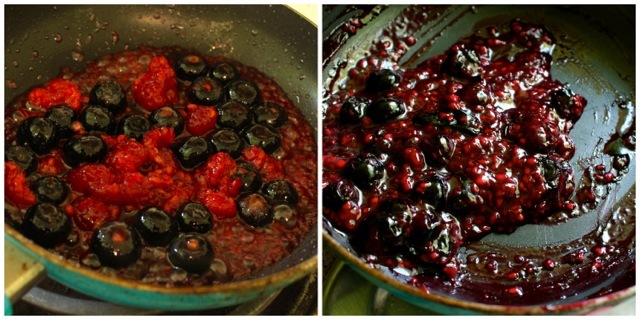 Stir constantly while breaking up the berries a little but still keeping in chunky. Bring up to a low boil and stir gently for about five minutes. The compote will thicken more as it cools. Now time to assemble! 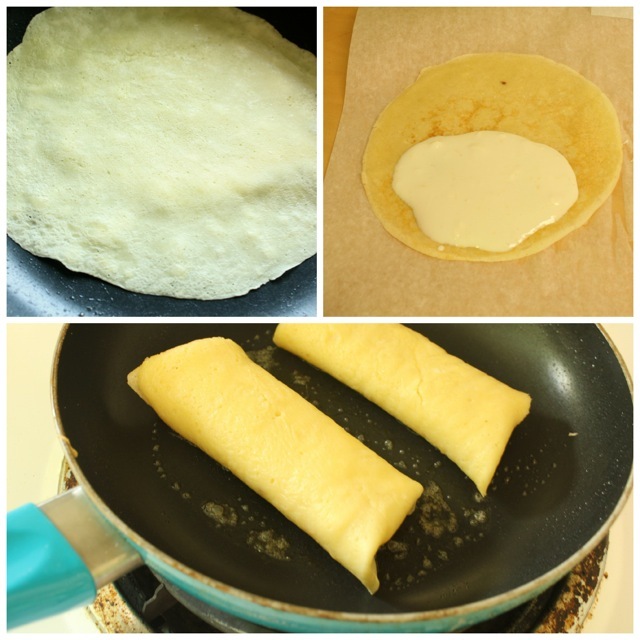 To make blintzes, butter a 9-inch nonstick pan with a thin coat of butter over medium high heat. Then pour ¼ cup of batter into the pan to coat the bottom. Swirl the pan to coat evenly. After about a minute you will see the ends begin to curl up- your blintz is done! Do not flip. 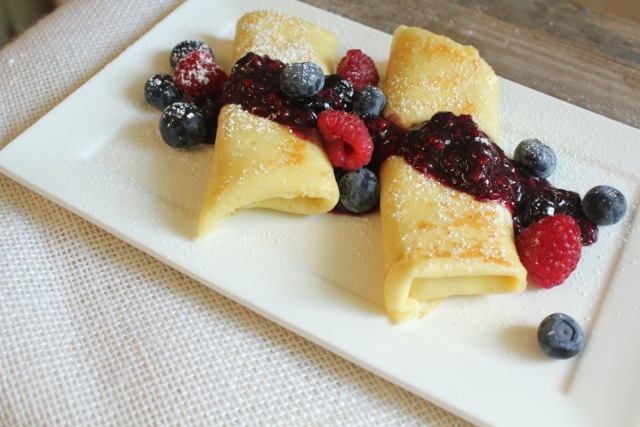 Slide blintzes onto parchment paper to allow them to cool. Don’t layer blintzes together or they will stick! Spread a spoonful of the cheese mixture towards the bottom of each blintz. Fold the bottom of the blintz up to cover the filling and then fold the sides in. Then roll like a little Jewish burrito! 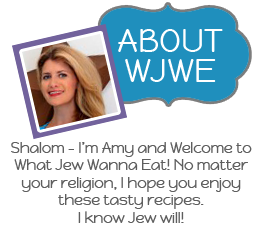 My Brie and Apple Blintzes have more detailed photos for your visual learners! Drizzle berry compote over blintzes, and sprinkle with fresh fruit and powdered sugar for garnish. 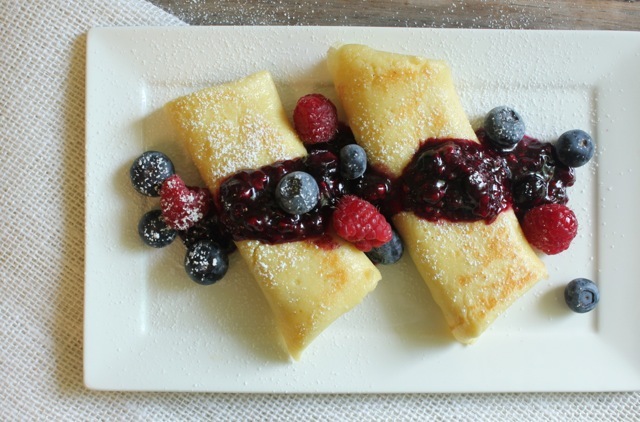 Classic cheese blintzes with a super tasty seasonal berry compote! Now time to assemble! 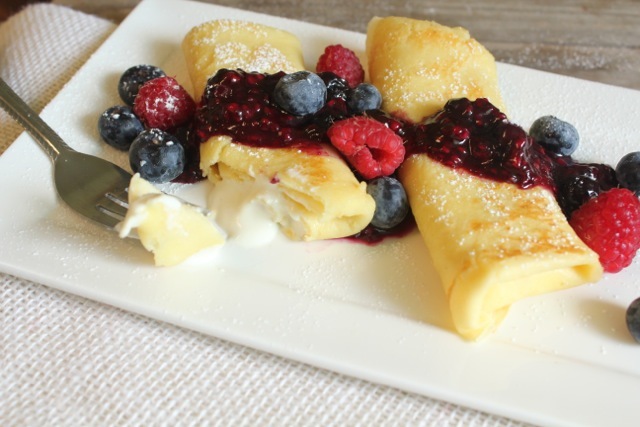 To make blintzes, butter a 9-inch nonstick pan with a thin coat of butter over medium high heat. Then pour ¼ cup of batter into the pan to coat the bottom. Swirl the pan to coat evenly. After about a minute you will see the ends begin to curl up- your blintz is done! Do not flip. 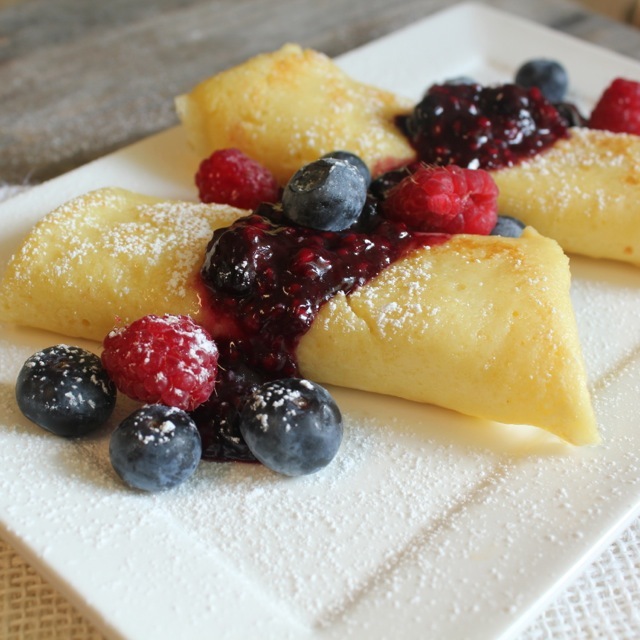 Slide blintzes onto parchment paper to allow them to cool. Don’t layer blintzes together or they will stick! Spread a spoonful of the cheese mixture towards the bottom of each blintz. Fold the bottom of the blintz up to cover the filling and then fold the sides in. Then roll like a little Jewish burrito! Add 1-tablespoon butter back to the medium nonstick pan over medium high heat and cook on each side until golden brown- or about 1-2 minutes per side. Drizzle berry compote over blintzes, and sprinkle with fresh fruit and powdered sugar for garnish. Driscoll’s Berries sent me their berries to review, but all opinions are my own. 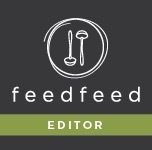 « Dairy Recipes for Shavuot- Mmm Cheese! These look so delicious Amy, and the photo is absolutely beautiful! Love fresh berries!